This is one of a set of resources developed to support the teaching of the primary national curriculum. They are designed to support the delivery of key topics within science and design and technology. 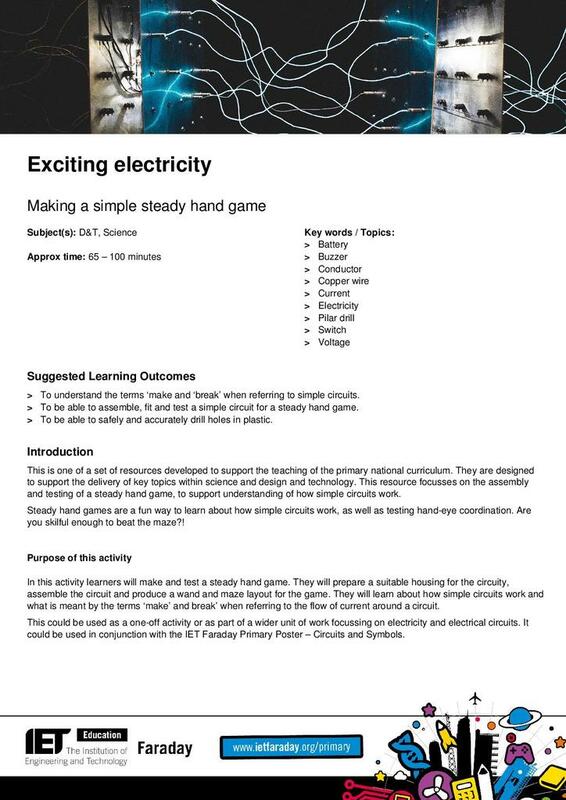 This resource focusses on the assembly and testing of a steady hand game, to support understanding of how simple circuits work. 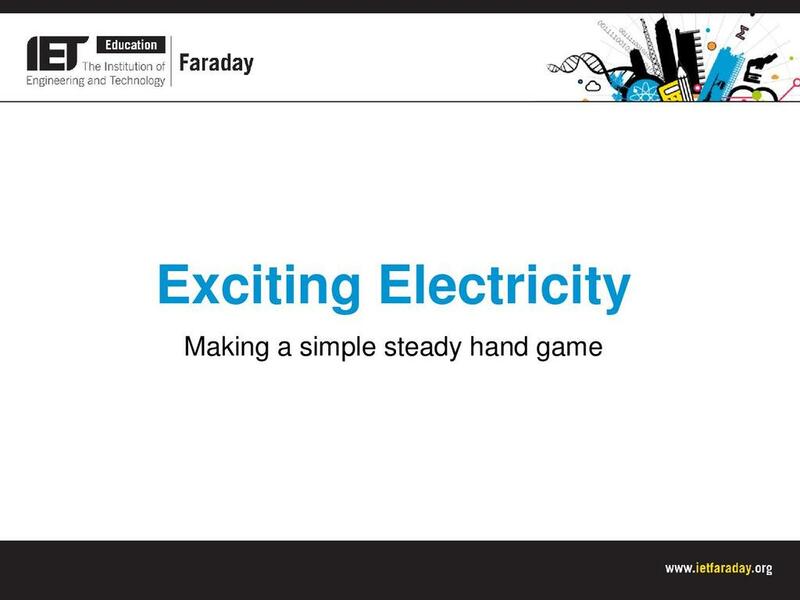 Steady hand games are a fun way to learn about how simple circuits work, as well as testing hand-eye coordination. Are you skillful enough to beat the maze?! In this activity learners will make and test a steady hand game. They will prepare a suitable housing for the circuity, assemble the circuit and produce a wand and maze layout for the game. They will learn about how simple circuits work and what is meant by the terms ‘make’ and break’ when referring to the flow of current around a circuit.